This informational bulletin contains all the the audi oil quality standards that should be used when doing an oil change. This informational bulletin contains guidelines for figuring out why coolant marks are present around the coolant expansion tank cap. This bulletin contains technical information regarding when the parking aid sporadically warns of obstacles that don't exist or it is inoperative/constant warning. This informational bulletin contains instructions about updating the navigation map. This informational bulletin contains instructions for setting up and using the sd creator program. This is a reference bulletin that contains software update information for the mid2 mmi system. 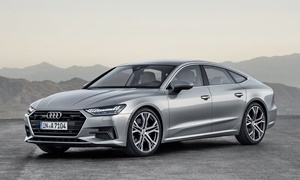 This bulleting provides information regarding warning messages in the mmi from audi connect. This informational bulletin contains resource information for when the traffic feature is inoperative in the mmi navigation. This informational bulletin states when vehicles will no longer support the old 30 pin connector apple products. This information bulletin explains why traffic incidents nearest to the vehicle/in the surrounding area do not appear in the mib mmi.